Low Carbon Energy Assessors (LCEA) Ltd provides four levels of Commercial energy assessments for our clients’ specific requirements. These services consist of energy benchmarking exercises, checking the accuracy and looking for defaults contained within existing Commercial Energy Performance Certificates, using accredited Level 5 dynamic simulation energy modelling (DSM) software producing high calibre ‘what if scenarios’ to fully detailed and quantified energy auditing services. With our background in Quantity Surveying we enjoy getting into the detail of everything. Our Commercial EPC+ improvement service helps your chances to improve and comply with the Minimum Energy Efficiency Standards (MEES). It is based on over 20 years’ experience with assisting building owners and occupiers to minimise energy use, carbon emissions and save money from commercial buildings at pre-contract design stage ‘tender stages’, through to post contract ‘Installation phase’ to the hand over and operational use of the building. We enable our Clients to go beyond the current legal requirements in improving the energy performance of both new and existing buildings. We work with businesses identifying and delivering the most cost effective and appropriate route to compliance based on their specific needs. 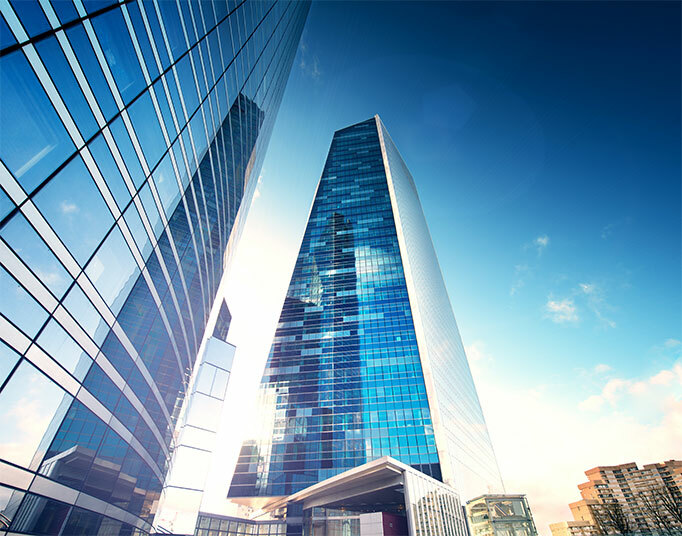 We review your current building portfolio to determine your risk of non-compliance of MEES along with the Energy Performance of Buildings Directive (EPBD) and advise on the implications against your commercial assets. Are you compliant with EPBD? » Are your Commercial EPCs still valid? » Are your EPC files accessible on the Government database? » We assess your current energy efficiency and energy performance » Review expiry dates of current leases » Advise on MEES exemptions. 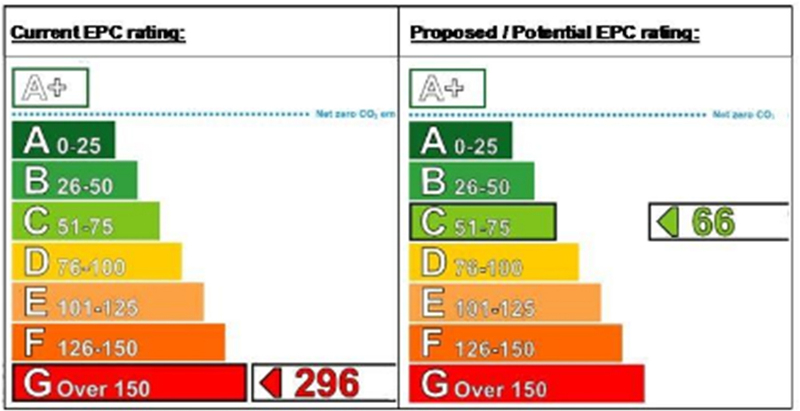 Is your current Commercial EPC accurate, how can you improve it? To gauge your risks, our ‘Commercial EPC+’ service visualises the current EPC ratings of the UK’s commercial (non-domestic) EPC building stock, using data from the Government’s database. Where valid commercial EPCs are in place (levels 3 & 4) we are able obtain the original technical EPC data files used to create the commercial EPC. We have over a decade of experience with Commercial EPCs, this knowledge has enable us to have the power and mechanisms in place to carryout ‘Commercial Energy Performance’ data analytics contained within the original Commercial EPC data files. We can map out your existing Commercial EPCs and identify if the EPC contains default values or whether the assessor had likely to have made some errors in producing the EPC in the first place. From this assessment we will advise of potential quick wins ‘low hanging fruit’ and the likely improvements that can be easily achieved. We rebuild your existing Commercial EPC by using the data mentioned above. Once rebuilt we are able run simulations and identify the most cost-effective solution to improve the energy efficiency of our client’s buildings by carrying out ‘what if scenarios’ and remodelling the building until we are able identify the optimum energy efficiency for the building. We illustrate the results within a summarised graphical EPC+ report which identifies the opportunities in ‘layman’s terms’. We clearly define and identify what the most suitable energy efficiency improvement works would be worth considering. We illustrate the ‘before’ and ‘after’ results helping to identify the best solution for you. We have been involved with energy performance assessments (asset ratings) with various large consultancy and construction companies within the UK. Producing draft Commercial EPCs based on various design proposals along with ‘what if scenarios’ before the tender documents were issued and prior to any on site construction works commenced. This helped ensure the Client’s design and tender documents achieved MEES & EPBD compliance and was likely to be the most cost-effective solution to achieve this. The purposes of these EPC+ exercise is to remodel the existing building with energy efficient measures provided by the client / client’s design team and any other suitable results produced from the ‘what if scenarios’. The remodelling of these scenarios, can be either be based on each individual improvement item or accumulative. This service illustrates what each improvement measure can bring in terms of improving the Energy Performance Certificate (Asset Rating), Display energy certificate (Operational rating). Establishes the current commercial energy performance certificate before implementing any refurbishment or energy efficient works. Establishes what the Commercial EPC or Display Energy Certificate rating could achieve based on the energy efficient measures identified, example contained within table 2 below. Identify the most cost-effective solution or solutions for the client. We illustrate what the current energy performance is and how it can potentially be improved. We would also compare the property / portfolio against the current Building Regulation Part L and or against any recently proposed Part L updates being introduced. Table 02 – What if scenarios and analysis of proposed cost-effective solutions. Once we have completed the EPC+ services we present our findings and recommendations for achieving compliance. We will provide scenarios on what the likely cost-effective solution would be for each Commercial building and discuss opportunities for improving your building portfolio. Our enhanced Level 5 Dynamic Simulation Energy Modelling (DSM) EPC+ Services, involves remodelling the existing Commercial EPC. This remodelling service is based upon the same principles as mentioned within the ‘Enhanced EPC+ Service’ above. However, with Level 5 DSM service we can go further and beyond by using the 3D dynamic simulation modelling service (DSM) which provides the highest level of accuracy for producing Commercial EPCs within the UK by using UK Government approved DSM software. Our detailed assessments identify the energy, CO2 reductions and financial savings, by investigating the operational, no-cost, low-cost, medium-cost, high-costs and CAPEX improvement measures that can be implemented at the asset by the Landlord and the associated FM service providers. We assess the potential Heating, Ventilating Air Conditioning (HVAC) & Building Services energy savings for the property by conducting a detailed energy assessment of the facility, compiling the relevant energy utility data to determine overall energy utilisation. Our enhanced energy assessments identify areas of energy savings and equipment deficiencies through analysing mechanical and electrical systems, sequences and operating schedules, and total cost of current HVAC and building services operations. Measures needing investment capital and/or contractual (re)negotiation with existing service provider(s). As energy improvement works are completed, the operational staff should be trained on the operation of any new equipment, including all hardware/software capabilities, and the effect that these changes have on the operation of the building and their individual tasks. This training is a critical component with regards to minimizing energy consumption and will need to be on-going to address any changes in the staff. Always continue with your energy conservation opportunities as they will always change and develop with the changes within each business. Therefore, monitoring and continual review of efficiency targets is another component of maintaining sustainable savings and therefore procedures will need to be put in place to regularly check the compliance of the individual improvement works to achieve savings. There remains a significant number of opportunities with major energy efficiency saving potential yet to be fully achieved, which is dependent upon general building operational / capital planning decisions (e.g. decision to invest in new efficient equipment such as HVAC & lighting types). We identify these opportunities and list them within our executive summary matrix. We would also recommend a re-review of the sites HVAC performance again and likelihood probably generate more energy conservation opportunities, which can be achieved in greater detail. Should you have any queries regarding our ‘Enhanced Energy Auditing Services / Energy Conservation Opportunities’ please do contact Robert Corbyn MRICS Director from Low Carbon Energy Assessors (LCEA) Limited on his Mobile +44 (0)780 441 4170 or our London office.